post. 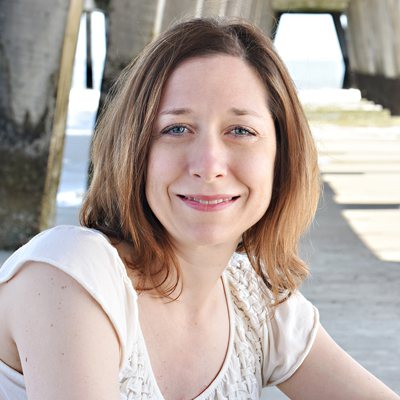 She’s both author and illustrator of many other books you’re sure to enjoy! librarians, and booksellers. What was it about the story that first sparked your imagination? manuscript was something I connected with instantly because it really spoke to the nature-lover in me. the palette evolve as you worked through the black-and-white dummy? generate ideas and explore composition, scale and pacing, so I don’t focus on color right from the start. 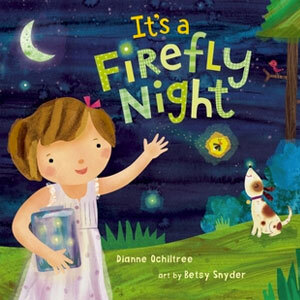 twinkly night skies and glowing fireflies right from the beginning. excited to move on to that stage of the art! story character looks, acts and feels? nightgown seemed comfy and nostalgic. And of course, she had to be barefoot! end—I wanted to mostly zoom in on the girl discovering fireflies, so we get a sense of her independence. The end reveals the bigger picture (and Dad), showing us the girl’s place in the world and leaving us with a feeling of togetherness. could really shine on the page. techniques did you use to create these wonderful effects? final details feel like they were done by hand. first sketches to final art? How do you determine when it’s ‘final art’ that’s ready to go to the publisher? especially when the publisher needs time to review sketches and art. publishing team to weigh in—sometimes a fresh perspective helps me finish things up. read the story (hopefully) again and again. How did you decide what to add? And, was it fun for you? process, so adding extras keeps me engaged and interested as well. caterpillar, and inchworm and a ladybug. your artwork and creative process that you’d like to add here? BETSY: My favorite spread? All ten fireflies, of course!